Position oven rack 4 inches from broiler. Spray 18x13x1-inch pan with cooking spray. 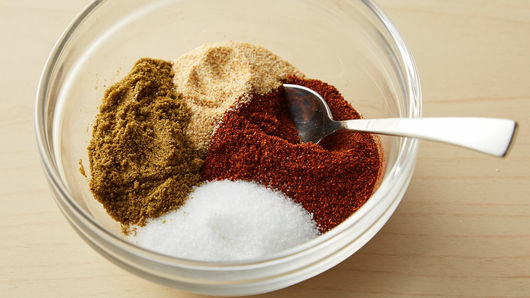 In small bowl, mix chili powder, cumin, salt and garlic powder. In large bowl, toss onion, bell peppers, 2 tablespoons of the vegetable oil and 1 tablespoon of the seasoning mixture; mix until evenly coated. Transfer vegetable mixture to pan in single layer, allowing room for steak. In same bowl, add remaining 2 tablespoons oil and remaining seasoning mixture. Add steak; rub mixture into steak. Transfer steak to pan with vegetables. Broil 9 to 11 minutes, stirring vegetables once, until instant-read thermometer inserted in thickest part of steak reads 135°F (for medium). 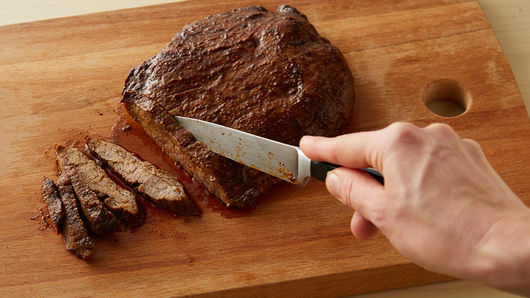 Transfer steak to cutting board; cover with foil. Let stand 5 minutes. Stir vegetables, and return to oven 2 to 6 minutes or until vegetables are blackened in spots. Thinly slice steak on the bias, against the grain. Serve with vegetables in tortillas with remaining ingredients. Feel free to use your favorite bell pepper, and add color by choosing a variety like yellow, red and orange. You may notice some watering out on sheet pan after baking, which is normal. Simply pour off the liquid before serving. Many fajita recipes instruct to cook the meat and veggies in a cast iron skillet on the stove or on the grill. 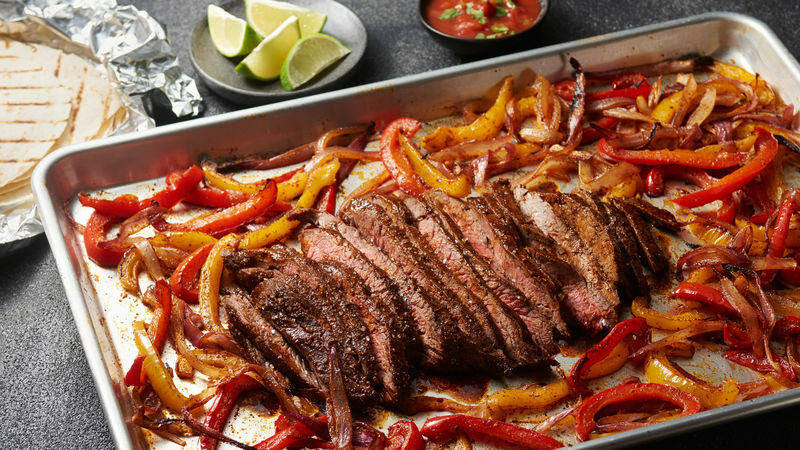 If you don’t have time to stand over the stove or grill and need to get dinner for the family on the table fast, this recipe for flank steak fajitas baked on a sheet pan is for you. Plus, this recipe is ready to eat in just 30 minutes! And since you only need one sheet pan to bake all of your ingredients, cleanup is done in a snap. Quick, easy and almost effortless—do recipes get any better than that? (We don’t think so.) Prefer your fajitas vegetarian? Or how about with chicken? 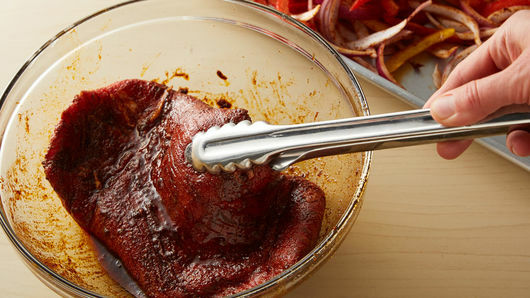 However you decide you want to fill your fajitas, we have a recipe for it. Start planning your next fajita night and check out all of our best check out all of our best fajita recipes!